For the first time, India is travelling to China to play an international match on October 13 at Suzhou Olympic Sports Centre but the team is having just a couple of days of training time. 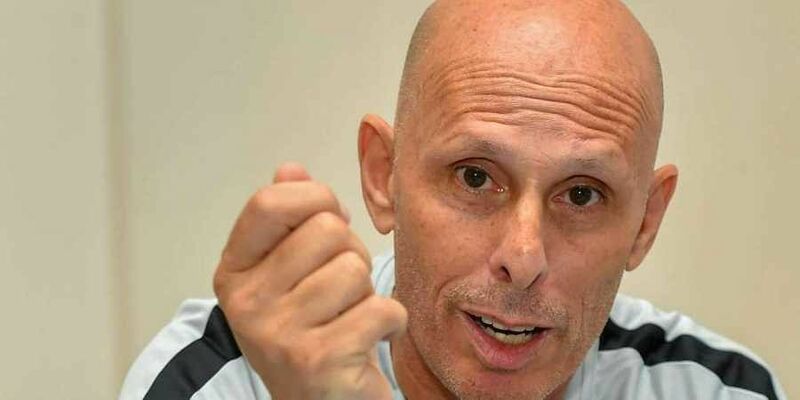 NEW DELHI: Indian football team head coach Stephen Constantine Wednesday rued lack of preparation time ahead of his team's international friendly against a much-superior China scheduled on October 13. The last time India had played against China was in the Nehru Cup in Kochi way back in 1997. This friendly is a part of India's preparations for the Asian Cup to be held in UAE in January next year. "Of course, it is a problem (of not having enough time). We don't have much time to do what we need to do, we needed a few more days. Going forward, we need to have more time for preparation in future," Constantine told reporters ahead of the team training at the JLN Stadium here. Most of the players are playing in the ongoing Indian Super League. Many of the players in the national team, including captain and star player Sunil Chhetri, played in the Bengaluru FC vs Jamshedpur FC ISL match on October 7. The team leaves for China on Wednesday after a mere two-day camp. "The boys played on October 7 (in ISL) and they arrived here on October 8 lunchtime, so we could not train on October 8. We are training today and then leaving tomorrow. So we have very little time for preparation as a team," the coach said. Constantine's woes were also compounded after striker Balwant Singh was dropped as his passport's validity period is less than six months. "Balwant's passport will expire in less than six months, five months and a week to be exact. So, he has been dropped. In the past 18 months, he has done well," the coach said. Asked if he was happy about the fitness level of the players, he said, "If we had time, we could have tested their fitness levels. But now we don't have time to test their fitness. Most of them have played at least two ISL games for their clubs, so I am hoping that they are in good fitness condition. "When I get the players from the clubs, they need at least two days to recover before we start a proper camp. But here we don't have time to do that," the Briton said. Talking about the Chinese team, Constantine admitted that it would be difficult for his side to beat the home side on October 13. "We are fully aware that China are a big side in the region. They will be a very difficult side. They want to play possession football and they employ a high line (defenders come up). "There will be a big stadium, big crowd but we have to play under pressure. These are the matches we need to play, to find out where we are, how good we are and how far we have to go," Constantine said. "When you step on the pitch, you always play to win. We will go all out for a win. But if we lose, we will try to find out the positive aspects. " Constantine has given debut to 44 players since he took over as coach in early 2015 and he said he will continue the trend. "More than 50 per cent of the current squad is Under-23 and if I feel some more young players need to be given a chance, I will do that."